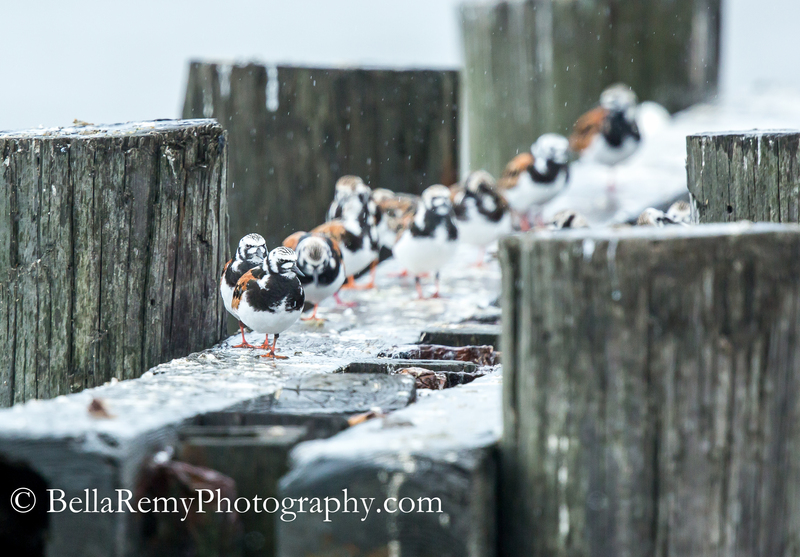 All lined up on the remnants of an old dock, these Ruddy Turnstones huddled in the light rain. Traveling through the Delaware shore in search of eggs from the Horseshoe Crabs. 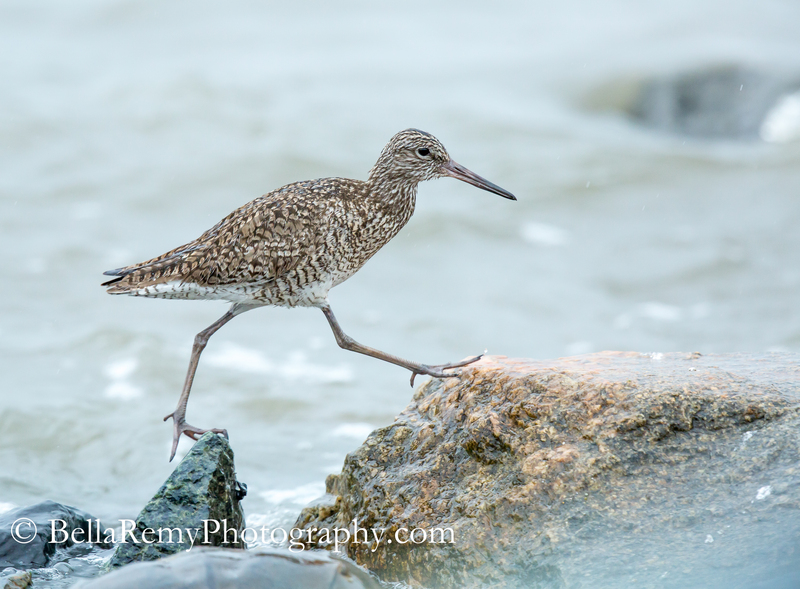 Mr. Willet, on the other hand was walking along the shoreline greeting us as he went by. They have a funny gate with their long legs! You’re right ! Such a gangly bird. Thank you. Wait for the bus, or walk to work? Love that second shot: speaks of lots of patience on the part of the photographer. Love the look of the first one with showing off the depth of field. Good work Emily. Such a huge compliment coming from you Tim. Thank you so much. LOL ! It’s as if someone dropped a paint bucket on them right Joanne? They did look a little waterlogged though. I’ve never heard of a ruddy turnstone, but they sure are cute.